SPEECH: President Duterte First State of the Nation Address (SONA) - Balita Boss! 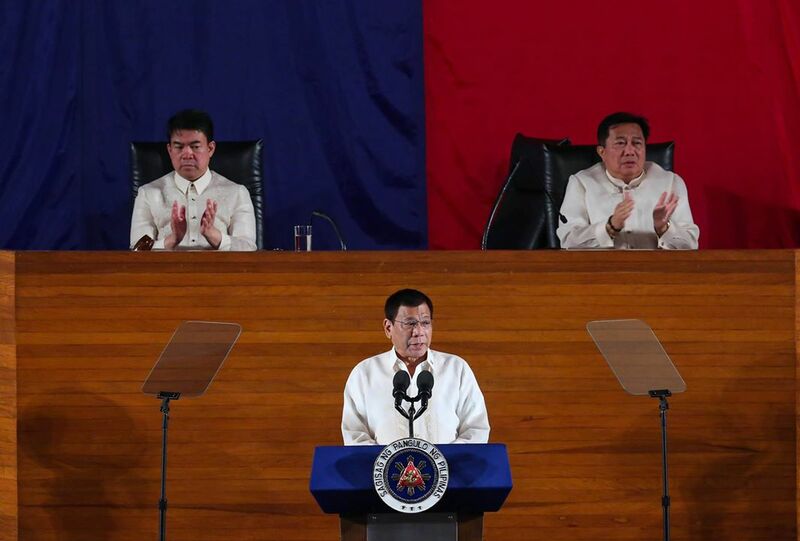 Below is the full text of President Rodrigo Roa Duterte's first State of the Nation Address (SONA) at the Session Hall of the House of Representatives, Batasang Pambansa Complex in Quezon City on July 25, 2016. The full text is courtesy of Official Gazette of the Republic of the Philippines. Thank you. Please allow me little bit of informality outset. You would realize that the three guys in the elevated portion of Congress are from Mindanao. So, wala talaga kaming masabi. Senate President Aquilino Pimentel III, members of the Senate, Speaker Pantaleon Alvarez, Vice President Maria Leonor Robredo, former President Fidel Valdez Ramos, President Joseph Ejercito Estrada, and President (Gloria Macapagal) Arroyo, Chief Justice Maria Lourdes Sereno, Justices of Supreme Court, His Excellency Papal Nuncio and members of the diplomatic corps. I have also to greet the Executive Secretary Salvador Medialdea, the members of the Cabinet, fellow workers in government, my countrymen. TYThe government’s Bureau of Broadcast Services, better known as Radyo ng Bayan, shall also undergo upgrading to make it financially viable and dependable for accurate, independent, and enlightening news and commentary. Radyo ng Bayan will be integrated with the PBC. And the Filipino, disciplined, informed and involved, shall rise from the rubbles of sorrow and pain so much so that all the mirrors of the world will reflect the face of a passion that have changed this land.